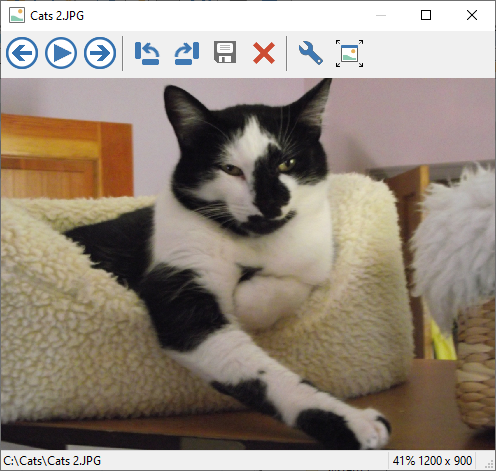 The toolbar of this window contains buttons that you can press to display several images located in the active folder as a slide show, to change the orientation of the current image, to display the image in the full screen mode. You can also press the Options button to display the Options for Internal Quick Viewer window. Note that when you use the image rotation buttons, the command changes the orientation of the image without modifying the image itself. In other words, the image file remains in its original state even if you use the image rotation buttons.